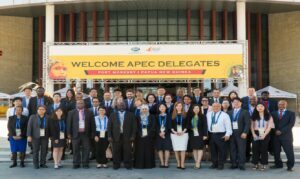 The Asia-Pacific Economic Cooperation (APEC) SCCP meeting was held on 10-12 in Port Moresby, Papua New Guinea (PNG) and attended by delegates from 16 APEC Member economies, SCCP APEC Program Director (PD) and representatives from the World Customs Organization (WCO) and Oceania Customs Organization (OCO) participated as observers. The OCO was granted three-year guest status in the SCCP in July 2018. The meeting was opened by the Chief Commissioner for PNG Customs Service, Mr. Ray Paul OBE who highlighted the importance of human resource development for improvement in the delivery of customs service. Mr. James Kombuk Bire, Commissioner for Trade and Corporate Services of PNG Customs Service chaired the SCCP meeting. The agenda of the SCCP covered comprehensive subjects viz the implementation of the WTO Agreement on Trade Facilitation, Supply Chain Connectivity Framework, Single Window, Authorised Economic Operators, Cross-Border E-Commerce and Customs to Customs Cooperation. The OCO was represented by the Chairman, Mr. Jose Mafnas, Director of Customs of Commonwealth of Northern Mariana Islands and the Trade & Revenue Adviser. The OCO made presentations on “Trade Facilitation in the Oceania Region” and “Narrowing the Development Gaps in the OCO Region”. The OCO Chairman in his address to the SCCP extended appreciation to members for allowing the observer status and that expressed that the OCO will benefit from the Forum through the exchange of information and best practices to assist OCO members in their own modernisation programs. Furthermore, the meeting had also provided a forum for networking and for collaborations with SCCP members on common customs issues. 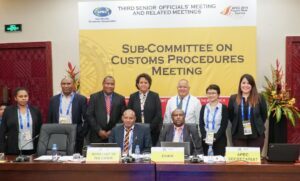 The OCO Chairman extended his appreciation to PNG Customs Service for the warm hospitality and congratulations for the successful hosting of the SCCP. 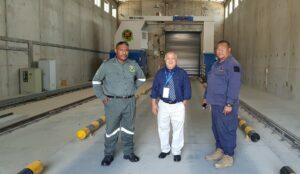 In the margins of the SCCP, the OCO representatives also took time to visit the PNG Customs Container Examination Facility.